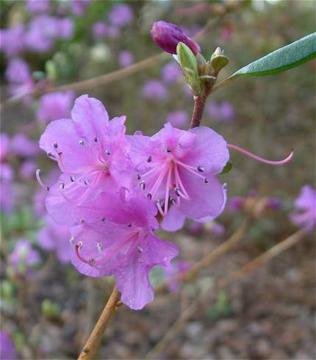 Very hardy, deciduous or semi-evergreen shrub. Small elliptic, dark green leaves, coppery in autumn. Trusses of funnel-shaped, violet-purple flowers, opening very early from January to March. Needs well drained acid soil and shelter, especially when young.